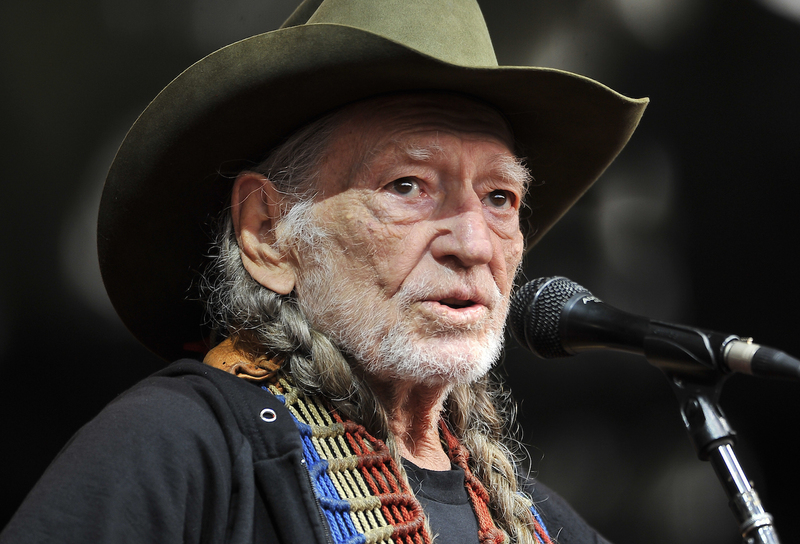 Willie Nelson is the legendary country singer and songwriter who came into limelight and fame during the late 60s. Some of his most popular and career-defining songs include; “Pretty Paper”, “Crazy”, “Funny How Time Slips Away”, and “Hello Walls”. His works were influential to the evolution of the “outlaw country” subgenre, which was used to confront the conservatism of Nashville. Now, well over 80 years of age, he is still strong and vibrant, constantly recording and touring as well as impacting lives through various political and charitable causes. He is one old champ that plans to quit only when he ceases to draw breath. Willie Hugh Nelson was born in Abbot, Texas during the great depression era on the 29th of April 1933. The names of his birth parents are Myrle Nelson and Ira D. Nelson. Willie has just one sister named, Bobbie, and they both grew up with their paternal grandparents who practically raised them. As a kid, he was first exposed to music by accompanying his grandmother to a small Methodist church in their town. He first started learning hymns and given the fact that he had such a melodious voice, he was given the chance to lead as often as possible. Moreso, his parents were also musically inclined and they did well to encourage him and his sister to play as many instruments as they could. His very first song was composed when he was just seven years old and by the time he was ten, he joined his first band. He started touring locally with the band called the Bohemian when he was a high school student and upon graduation in the year 1950, he joined the Air Force. Nelson was subsequently discharged as a result of his incessant back pain. After leaving the Air Force, he got enrolled into the Baylor University but due to his rising fame and success in his music career, he decided to drop out. Upon leaving the university, he found work in a number of radio stations in Texas as a singer and a disc jockey. In 1956, he relocated to Vancouver, Washington, where he got the inspiration for one of his earliest hit songs, “Family Bible.” In 1958, Willie got signed with D Records which prompted him to move into his new apartment located in Houston, Texas. As a newly signed artiste, he was required to work as a DJ as well as sing at the Esquire Ballroom. It was also at this time that more songs were written that would become country standards, including “Funny How Time Slips Away”, “Hello Walls”, “Pretty Paper”, and “Crazy”. He later signed a contract deal with Pamper Music in 1960, which made him move to Nashville, Tennessee. By 1962, his first album, “And Then I Wrote,” was released to critical acclaim. From the 60s to the early 70s, he had several mid-chart hits after which he then decided to relocate to Austin, Texas in 1972 with plans of retiring from showbiz. But this decision was short lived after he discovered a bubbly music scene in Texas. He has so far released 72 albums with Shotgun Willie (1973), Red Headed Stranger (1975), Stardust (1978) and What a Wonderful World (1988) being his most successful albums to date. He has also featured in more than 30 movies, co-authored several books and championed the cause for the legalization of marijuana. He currently is an honorary chairman of the Advisory Board of the Texas Music Project, which is involved in charitable works funded from music revenue in the state of Texas. With a career spanning decades and an active performing career even at an old age, Willie Nelson is worthy of all the wealth he has amassed so far. As a highly creative, enthusiastic and energetic musician, Willie can be seen going on tours with his band every now and then and this has sure aided to boost up his net worth which is currently estimated to be around $15 million. 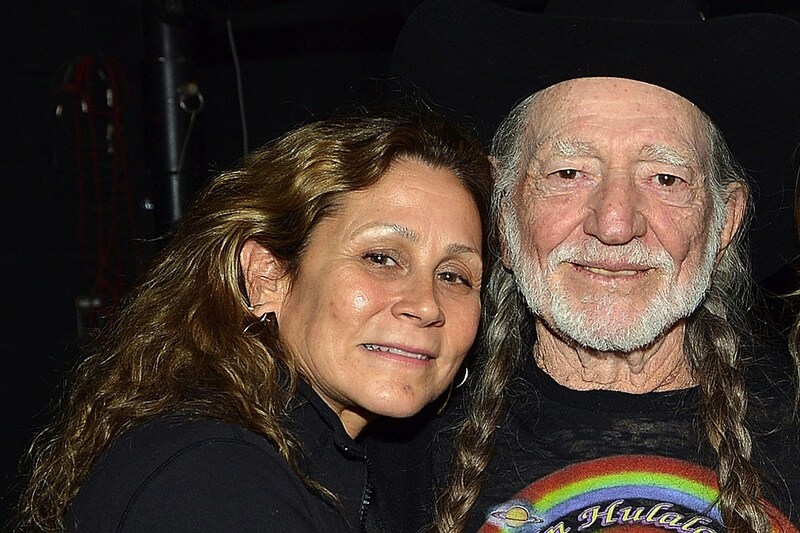 It would have been quite surprising if Willie Nelson wasn’t married. It might not also surprise you to find out that the songwriter and musician has been married a total of four times! Martha Matthew was his very first wife with whom he tied the knot in 1952. They stayed together for just 10 years before they split in 1962. While they were together, they had three adorable children including Willie “Billy” Hugh, Lena, Susie. Sadly, their son, Billy committed suicide in 1991. According to reports, the marriage which started out well like most marriages, later turned sour as Martha began assaulting Nelson. On one of the incidents, Martha sewed Nelson between the bed sheet as he slept and then beat him up with a broomstick. After leaving his first wife, he began dating Shirley Collie and the pair walked down the aisle in 1963. Nevertheless, divorce soon followed in 1971. The reason for this divorce stemmed from the discovery Collie made when she suddenly came across a bill from a maternity ward. The bill was from a hospital in Houston and it was charged to Nelson and a mystery woman named, “Connie Koepke” for the delivery of child named “Paula Carlene Nelson.” Well, it simply meant that Willie was having an affair which produced a child while he was still married to Collie. The same year (1971), Willie married his baby mama, Paula Carlene Nelson. They then had another child named, Amy Lee Nelson and in 1988, this marriage also ended like the previous ones and Willie later married his fourth wife, Annie D’Angelo, in 1991. Their union produced two hale and hearty boys, Lukas Autry and Jacob Micah. In total Willie fathered 7 children from four women. Given the fact that Willie was born in the early 40s, one might be tempted to think that he has kicked the bucket. Moreso, the recent spike in death hoaxes of beloved celebrities both young and old, has made it such that when news about the death of a celebrity breaks, most people tend to believe it.